[Corrected 12:20pm ET; see below.] The national debate over the high cost of healthcare, with prescription drugs at the center, resonates from the chambers of Congress to every American’s pocketbook. And it’s growing fiercer by the day. Last week, the first genetically modified cell therapy came to market with a price tag of $475,000. 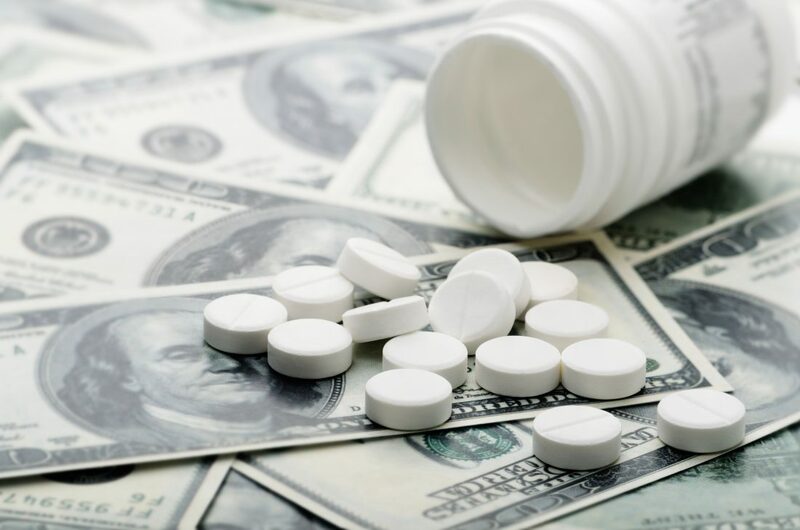 This week, vocal critics of the drug industry, leading Democrats, and even the FDA commissioner all spoke out in various ways about the causes of and potential solutions for high healthcare costs. It’s no surprise, then, that several finalists for the first Xconomy Awards, to be presented September 26 in Boston, have also played roles in the debate. We highlight three of them here. Steven Pearson (a finalist in the Contrarian category) is the founder and president of the nonprofit Institute for Clinical Economic Review (ICER). The group has raised the ire of the drug industry by using complex calculations to recalibrate the industry’s stated value of its products. ICER’s number-crunching often spits out a value far lower than what the drug companies charge, which has led the industry to cast dire warnings about the consequences of what it says is ICER’s misguided methodology. When ICER said last year that to justify the value of a new class of cholesterol-fighting drugs, they should cost about 67 percent less than the stated price of around $14,000 a year, the CEO of one of the drug companies said the calculations weren’t scientific or intellectually honest. That didn’t stop the same company, Regeneron Pharmaceuticals, from working with ICER on pricing when its next big drug, for atopic dermatitis, was nearing FDA approval. An ICER report earlier this year said the $37,000-a-year drug might actually be underpriced. Founded in 2007, ICER took off in 2015 when the Laura and John Arnold Foundation of Houston gave it more than $5 million to issue more reports on drugs with potential public impact. While most of its funding comes from nonprofits, it also takes money from insurers and drug companies, as explained here. The Tufts figure most often cited is its estimate of the sky-high cost of bringing a drug to market—roughly $2.6 billion, according to a 2016 report. The number accounts for the costs of all the drugs that don’t reach the finish line. The Tufts figure came under renewed scrutiny this week from this paper, which argued that the cost of developing lucrative cancer drugs is much lower than typical estimates. Unlike our first two finalists, Andrew Lo‘s mind isn’t always on healthcare. The MIT Sloan School of Management professor (a finalist in the Big Idea category) is fascinated by financial innovation of all kinds, as well as the human perception—and misperception—of risk. As director of MIT’s Laboratory For Financial Engineering, he thinks a lot about things like derivatives and other arcane structures that were in the middle of the global financial crisis. But healthcare, with its high costs and massive inequalities, is an obvious place for Lo’s attention. But Lo’s seemingly far-fetched ideas can help stimulate debate and action. In a 2012 paper, he detailed a $30 billion cancer “megafund” that was a steroidal (and theoretical) version of the new practice of “asset-based financing” in drug development. A few investors had dabbled in this: build a portfolio of single drugs, use outsourced R&D to advance them, then sell them to commercial drug companies. The idea is to have a large and diverse enough portfolio of these assets (drug candidates) to spread out the risk. But Lo suggested going big. A firm co-founded by former Sanofi CEO Chris Viebacher is doing just that—across all disease types, not just cancer—with $600 million committed in 2015 by an investment firm founded by Swiss pharmaceutical baron Ernesto Bertarelli. A company that Lo helped design, BridgeBio Pharma, launched earlier this year to do asset-focused development of drugs for rare diseases. Lo is also an investor. Indeed, he is no ivory-tower isolate. He’s the founder and chief strategist of AlphaSimplex Group, which runs investment funds based on his theories of risk perception. This is the seventh in a series of articles profiling the Awards finalists. You can see stories on the finalists in the Newcomer, Patient Partnership, Commitment to Diversity, Young Innovator, Startup, and CEO categories. Winners will be announced in Boston on September 26 at the Awards Gala. Xconomy Awards: The Finalists Are….